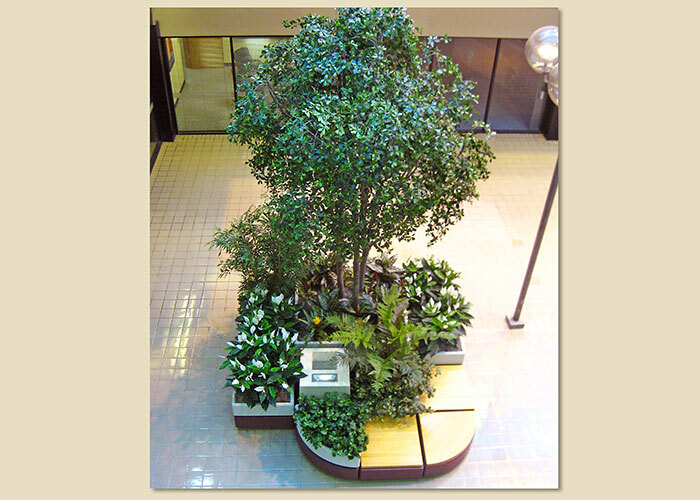 (1/14) A planting using a large selection of Mall Silks plants and trees. 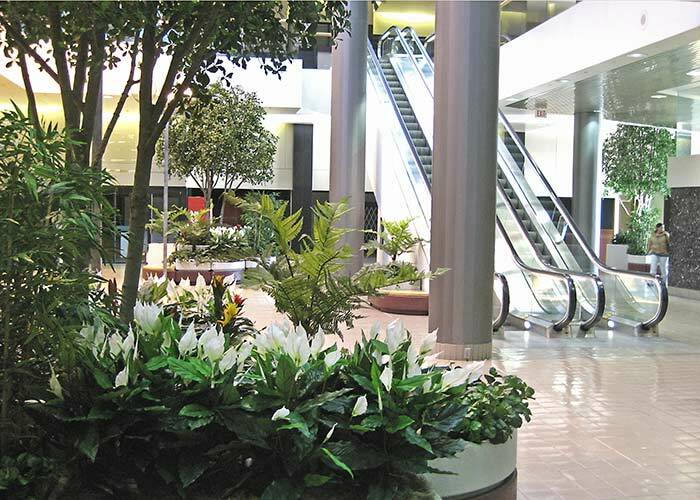 (2/14) A planting using a large selection of Mall Silks plants and trees. 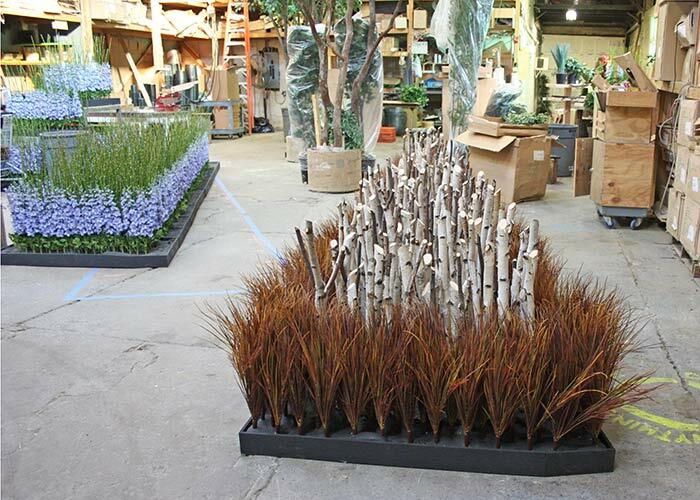 (3/14) Artificial grasses and Kentia palms are indistinguishable from the real thing. 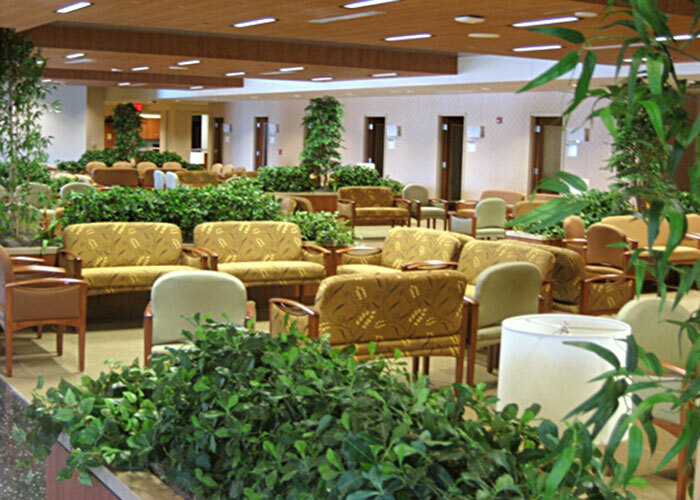 (4/14) Artificial plants and trees in a large hospital waiting room. 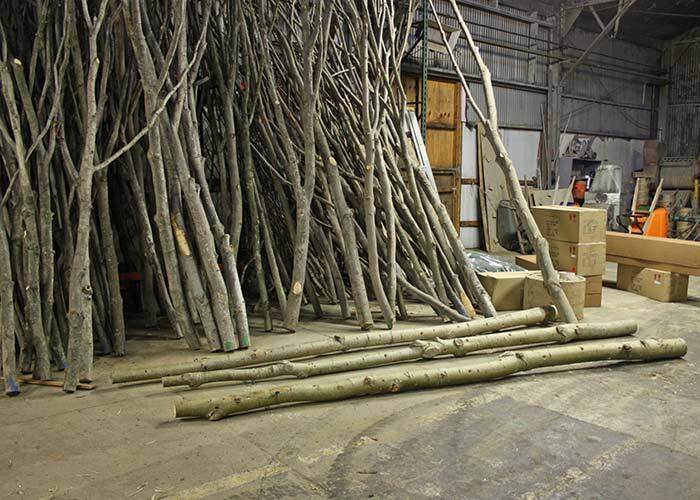 (5/14) Hundreds of tree trunks and branches in our manufacturing facility where they will be put together and foliated. 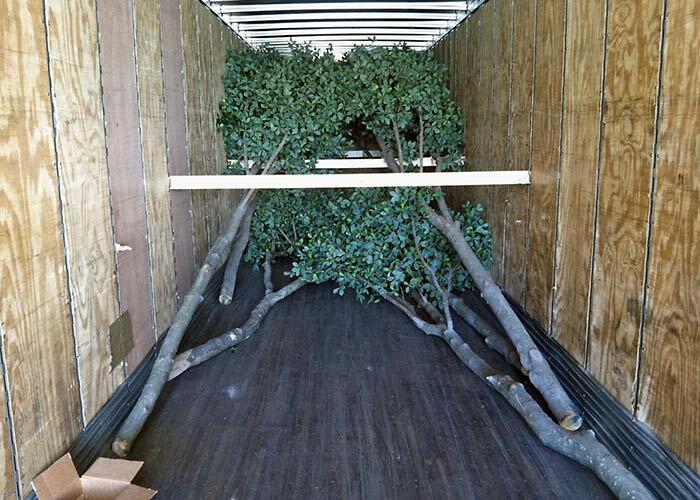 (7/14) Loading a 50 ft. semi truck with trees ready to go on site. 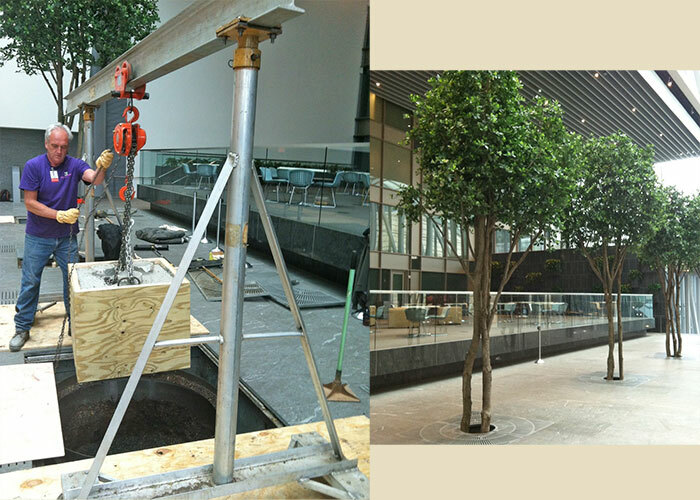 (8/14) Using a hoist to lower heavy concrete bases into the holes for these ficus trees. 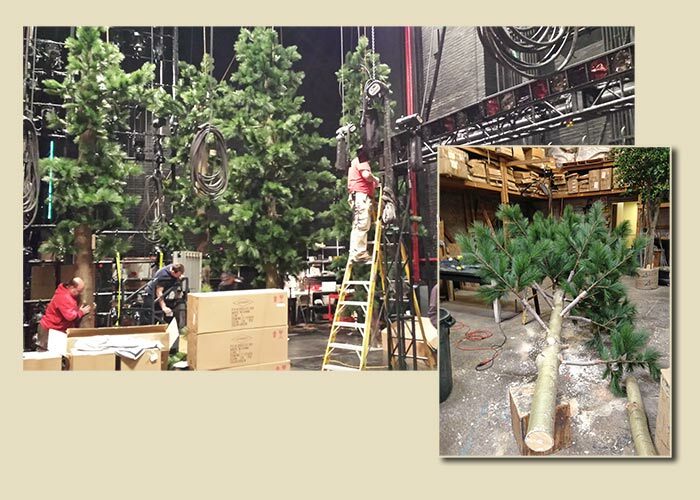 (9/14) Our Mall Silks crew went to New York to help install 15' to 22' pine trees on real trunks at a theater on Broadway. 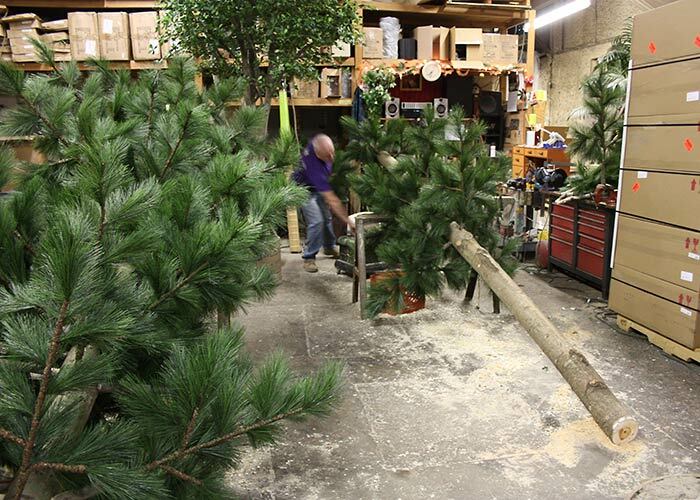 (10/14) Constructing the pine trees in our manufacturing center. 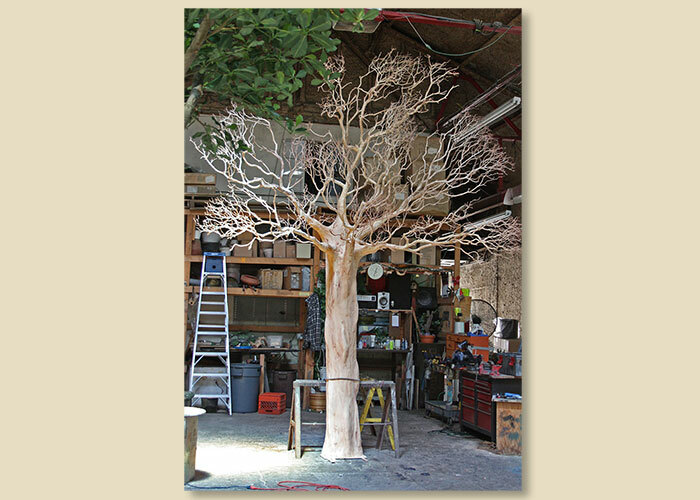 (11/14) An unusual 14' bare Manzanita branch tree for a restaurant in Manhattan. 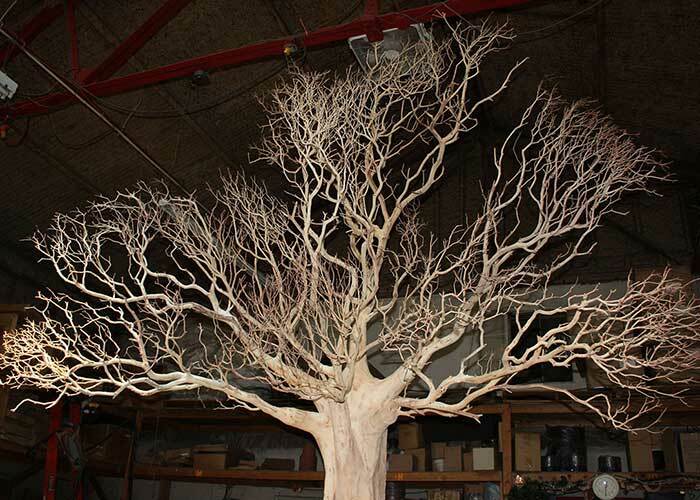 Museum Series trunk with natural branches. 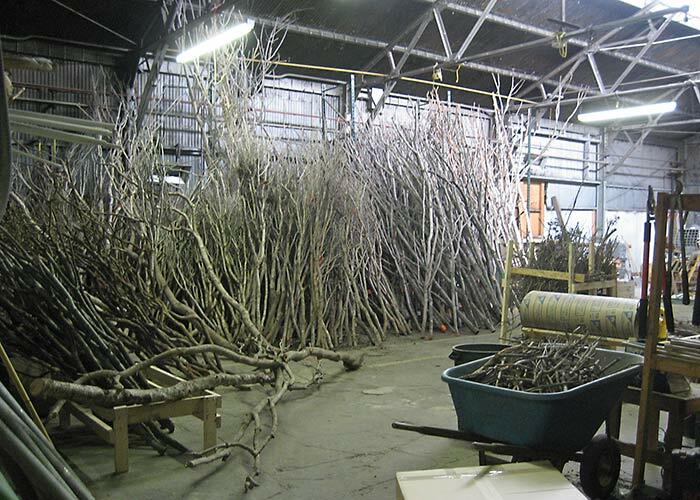 (12/14) Many real branches come out of this hand made artificial trunk. 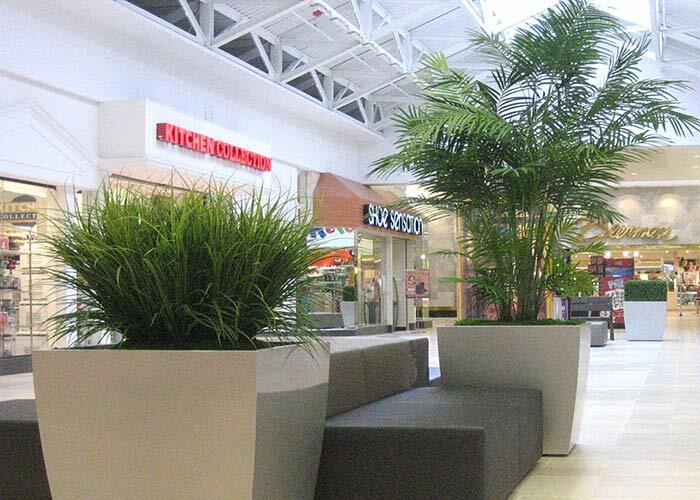 (13/14) Custom arrangements precisely built to fit into pre-existing planter areas inside a mall. Spring and fall sets. 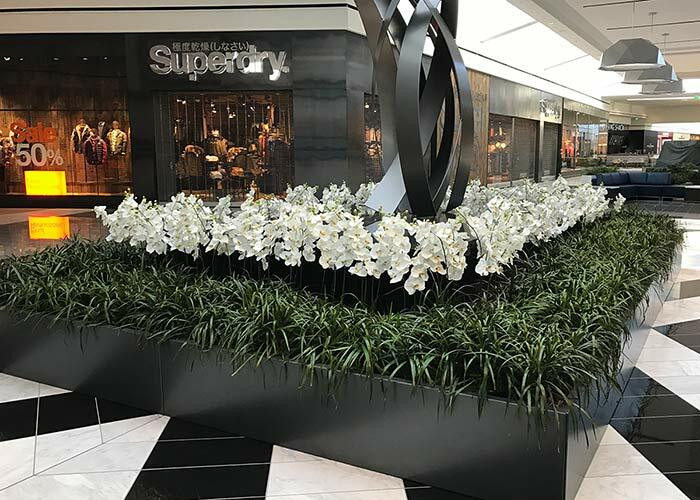 (14/14) Artificial white orchids surrounded by live liriope.